Recently, we ventured north to Montana for an extended weekend. 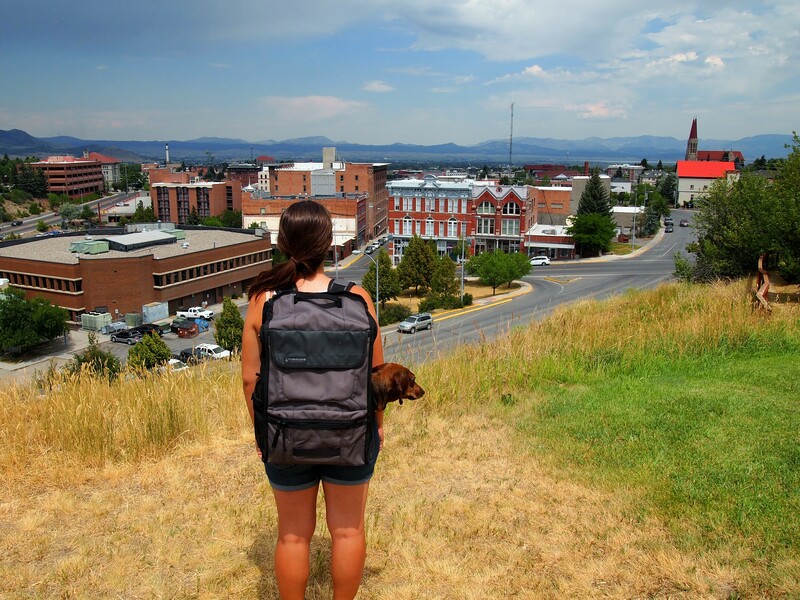 We hadn’t been to Montana since our road trip in 2014, and we’ve been eager to get back and spend some more time there. Since our dog sitter wasn’t available, Truman ended up tagging along too. We rolled into Helena around 4pm. Zach had a meeting with some regional trumpet players at 5pm so we decided to kill time in town rather than try to find a campsite. 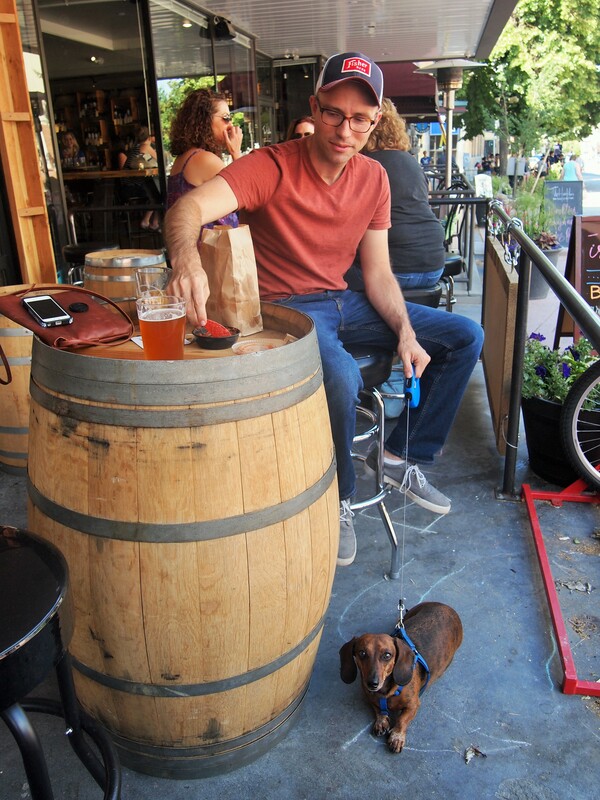 We ended up at Ten Mile Creek Brewery, one of three breweries in Helena and the only one which allows dogs on their patio. 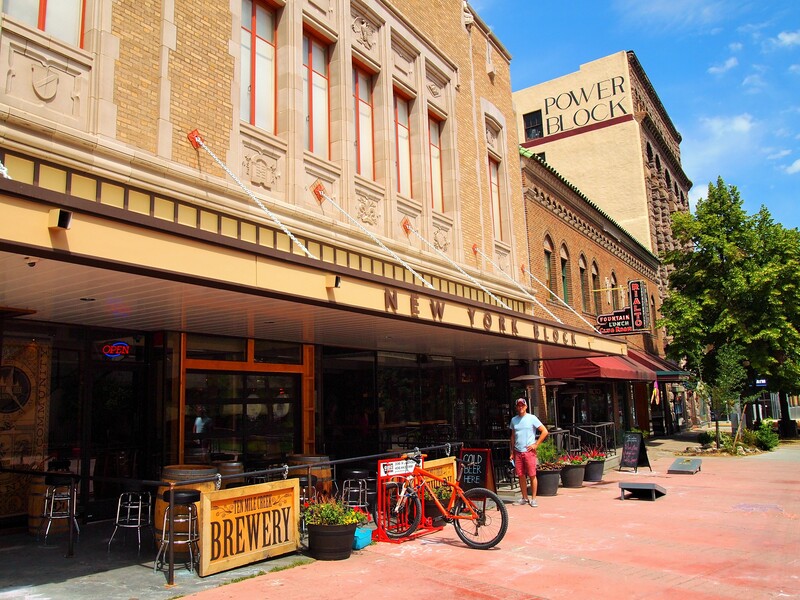 We passed a leisurely hour there and then meandered a block away to Hub Coffee for Zach’s meeting. 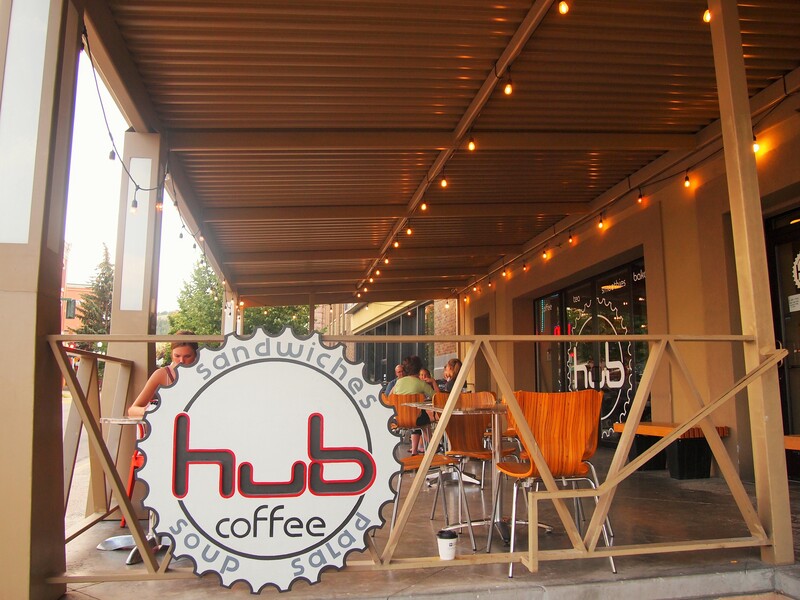 Hub Coffee has a large dog-friendly patio. 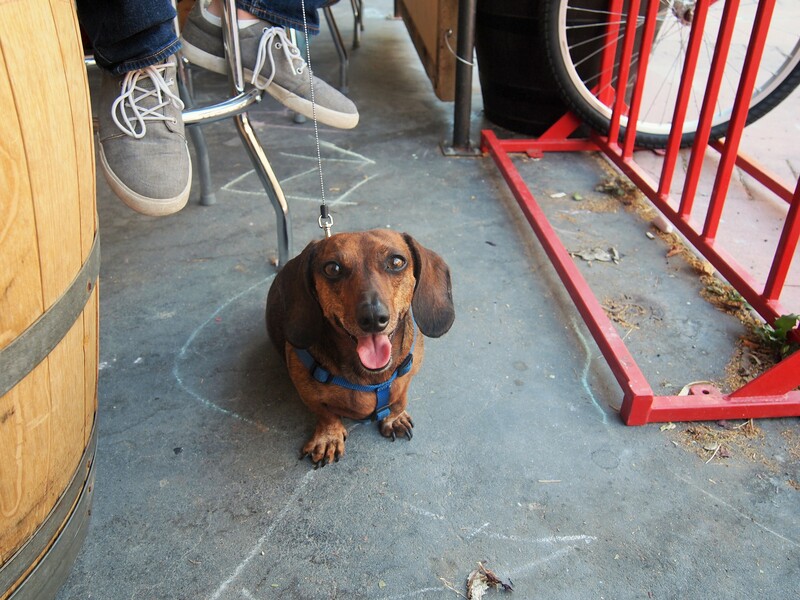 They even provide carpet squares for dogs to lay on as an alternative to the cement floor. Truman enjoyed it for a while, but then he grew a little restless. So I took him for a short walk around town while Zach finished up. 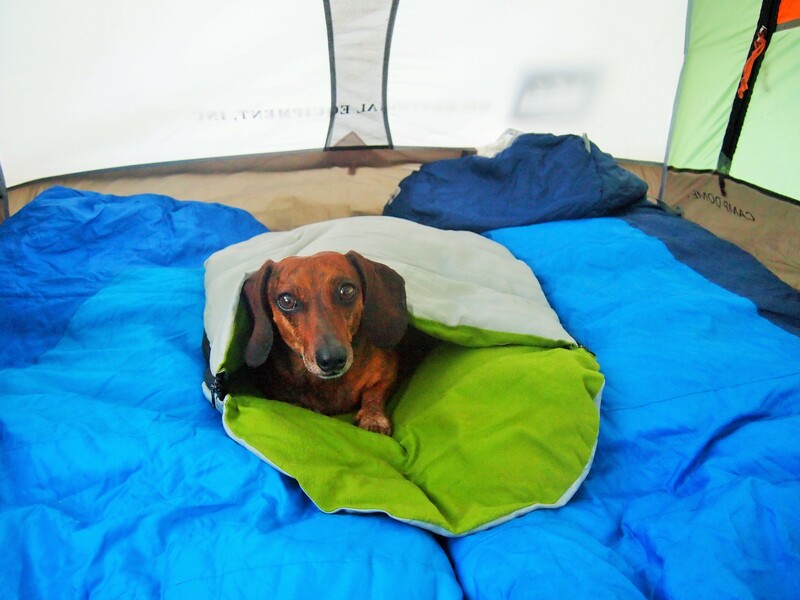 Then it was time to go find a campsite for the night. 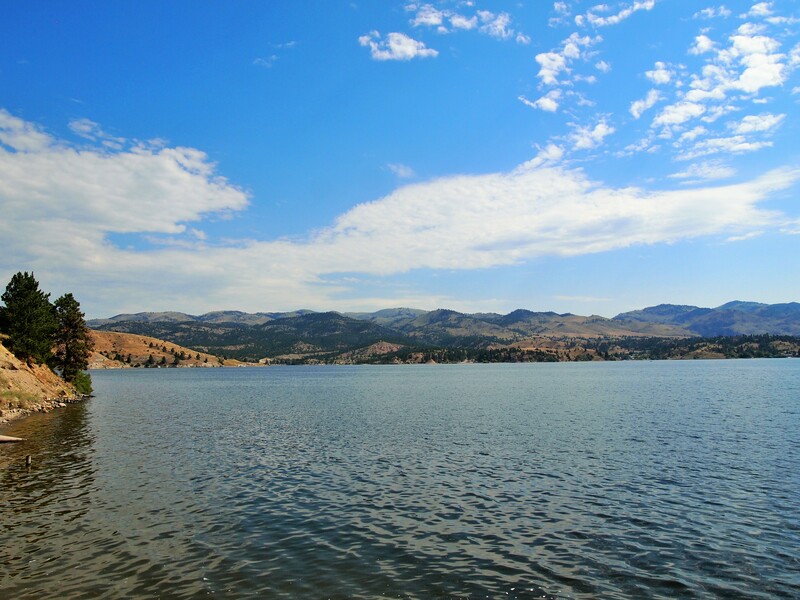 We hadn’t made a reservation for a campground but Zach had a few places in mind around Canyon Ferry Reservoir, a dammed up portion of the Missouri River. 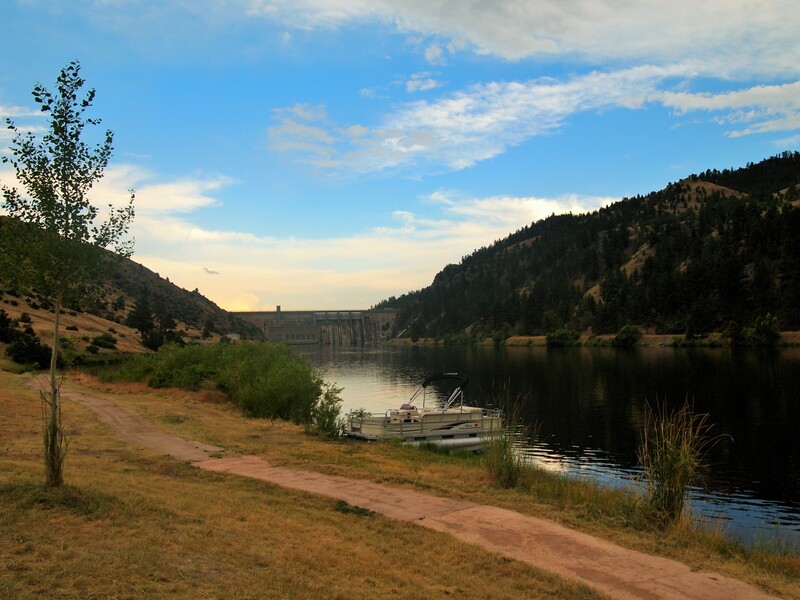 We ended up at Riverside Campground, along the banks of Hauser Reservoir, just below the Canyon Ferry dam. 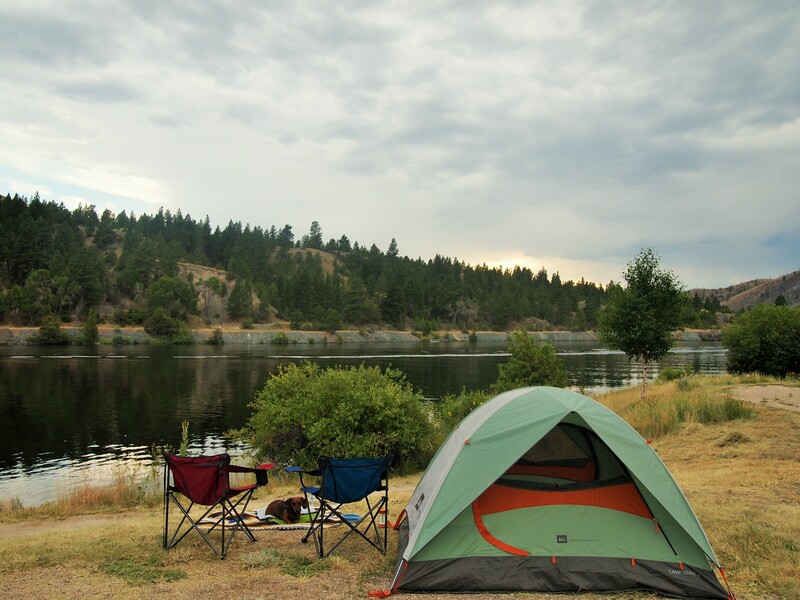 It was a peaceful stretch of the Missouri River and somehow we lucked into a waterfront site. We made ourselves some dinner and settled in for a tranquil evening along the same river Lewis and Clark traversed in 1805. The next morning we had breakfast and hung around for a while. We stopped for a bit at a day-use area on Canyon Ferry Reservoir and then drove into town. 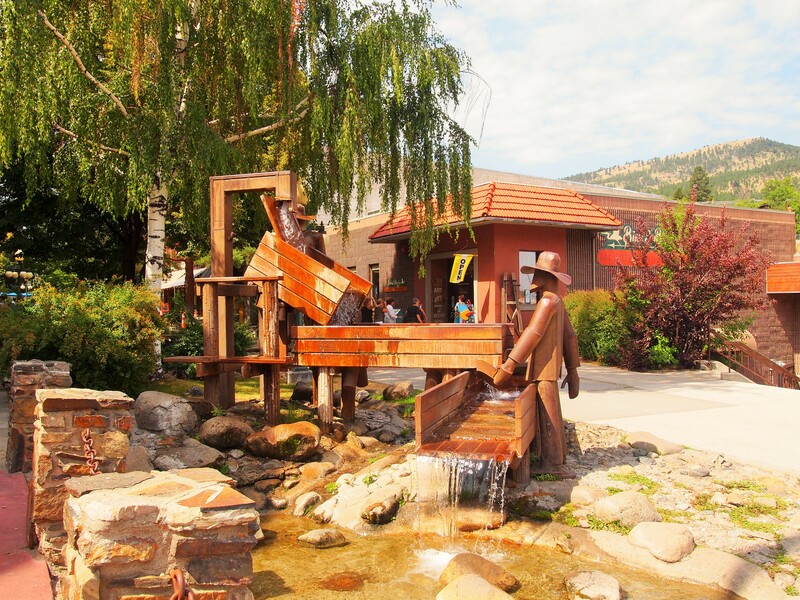 As we discovered during our first visit to Helena, the city grew out of the gold rush era. In 1864, four men known as the Four Georgians discovered gold in a gulch they later named, Last Chance Gulch. At their discovery, other miners rushed to the gulch to stake their claims. By 1868, $19 million in gold had come out of the gulch. 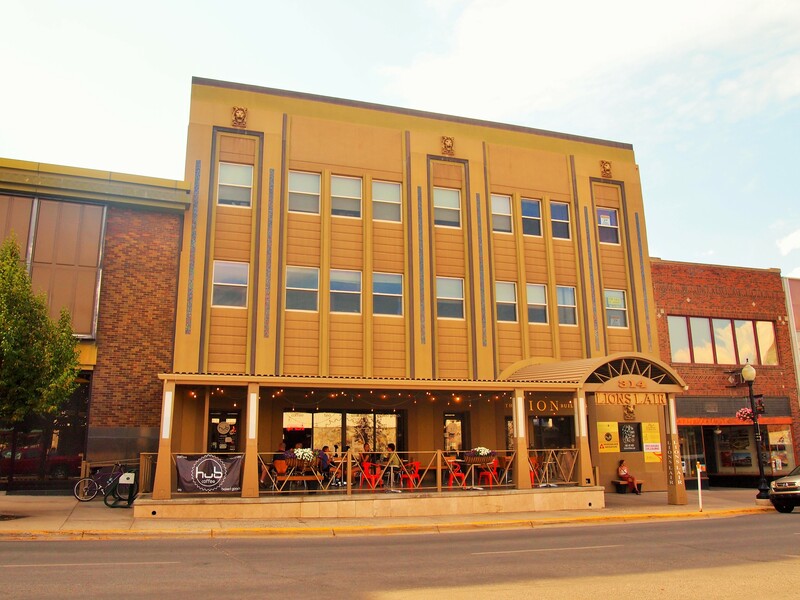 Unlike many mining towns, Helena was able to survive after the gold rush due to its status as the territorial – and later state – capital of Montana, the arrival of the railroad, and its location in central Montana. 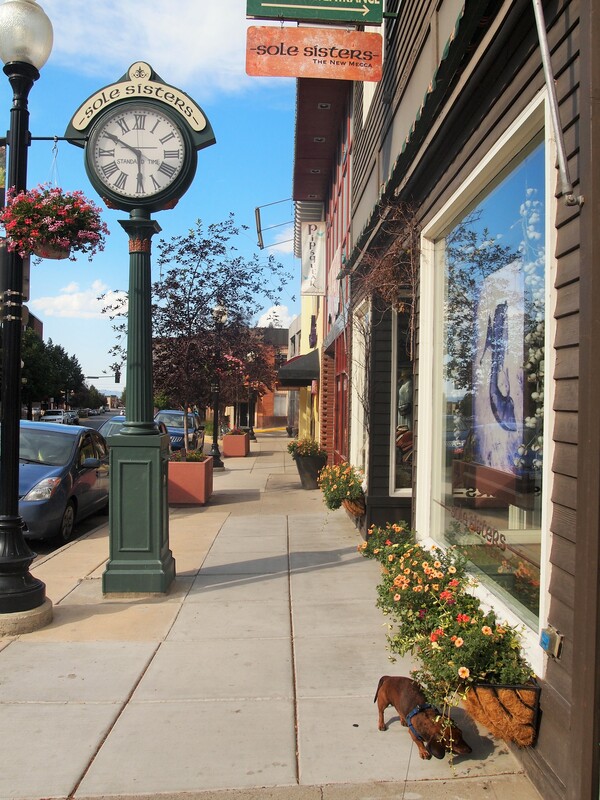 Much of Helena’s history is preserved throughout the downtown area. 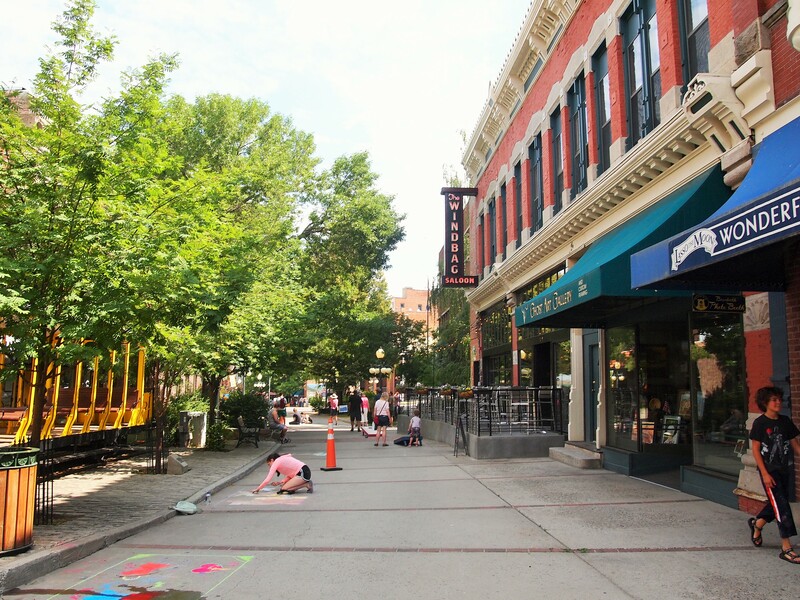 We spent some time walking around the pedestrian portion of Last Chance Gulch, Helena’s main street, where gorgeous buildings have been preserved, local businesses flourish, and art celebrates the city’s past. 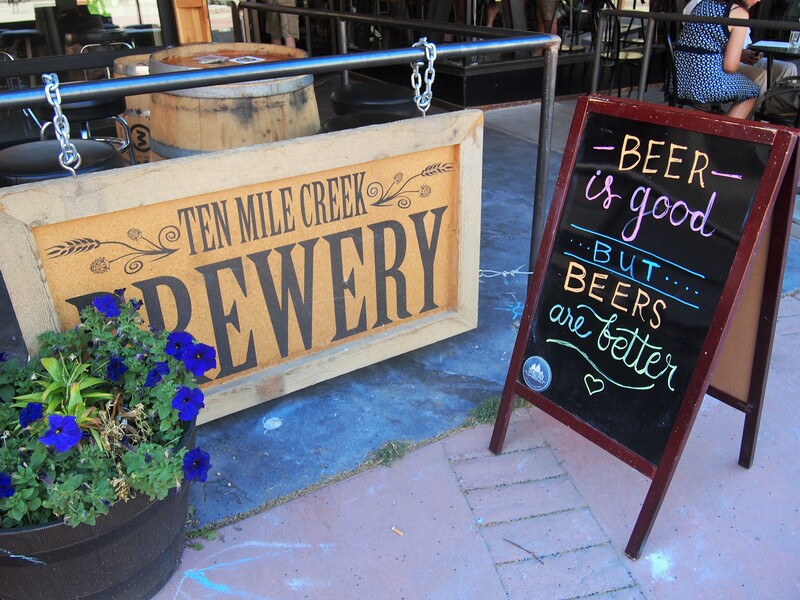 We stopped back by Ten Mile Creek for a beer while we filled our growler and then went to check out a couple more pieces of Helena’s early history. 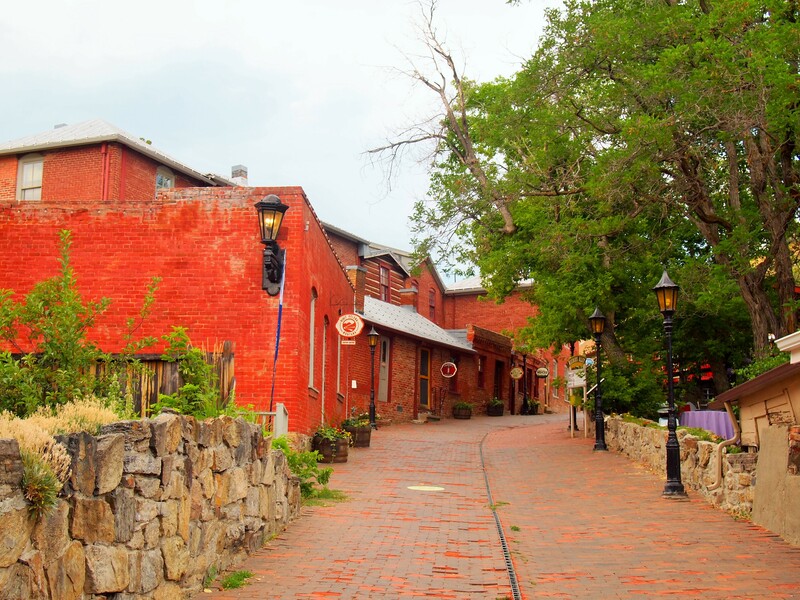 Located just a block over from Last Chance Gulch are Helena’s oldest remaining buildings. 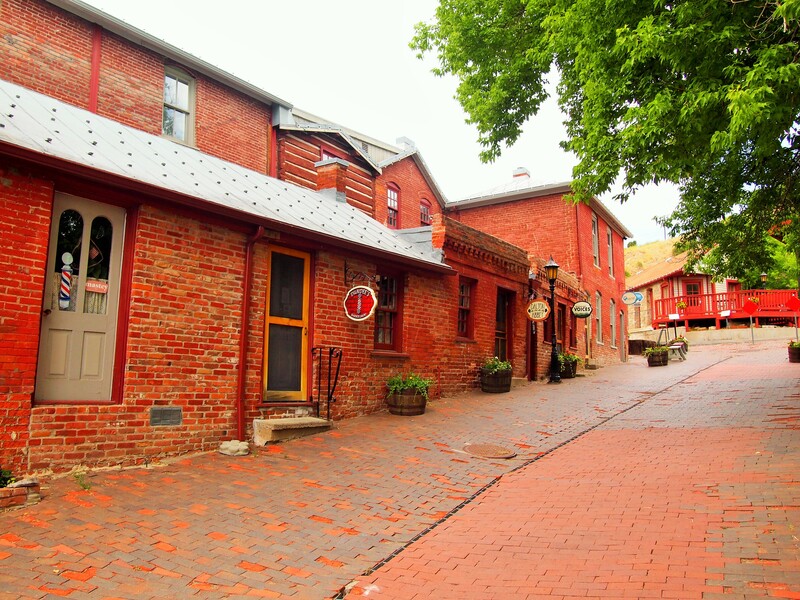 Reeder’s Alley, an historic block of housing units, was built by Louis Reeder, a brick mason from Pennsylvania. He fashioned brick and stone buildings to offer apartments and bunkhouses to the single miners. Even after the miners moved on, tenants lived in Reeder’s Alley until 1961. 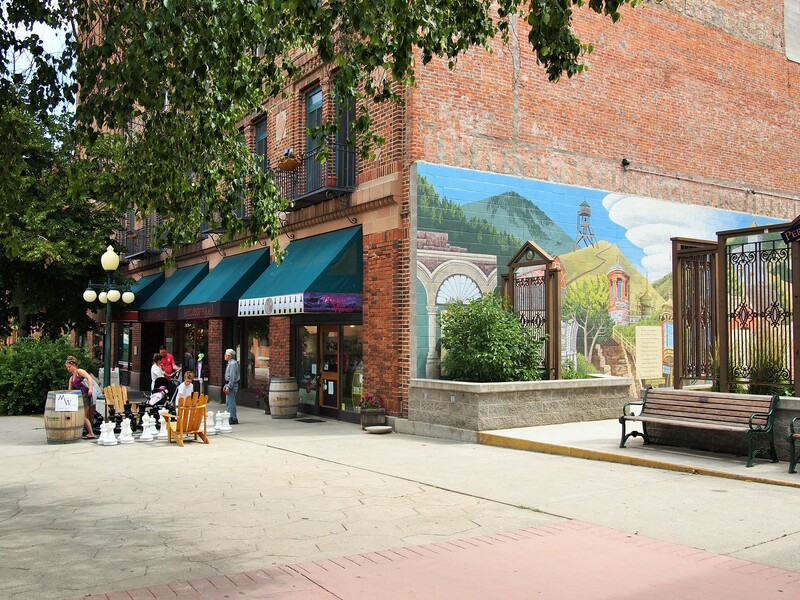 The alley was saved from destruction and has been preserved as a testament to Helena’s mining heritage and even houses the city’s visitor information center. 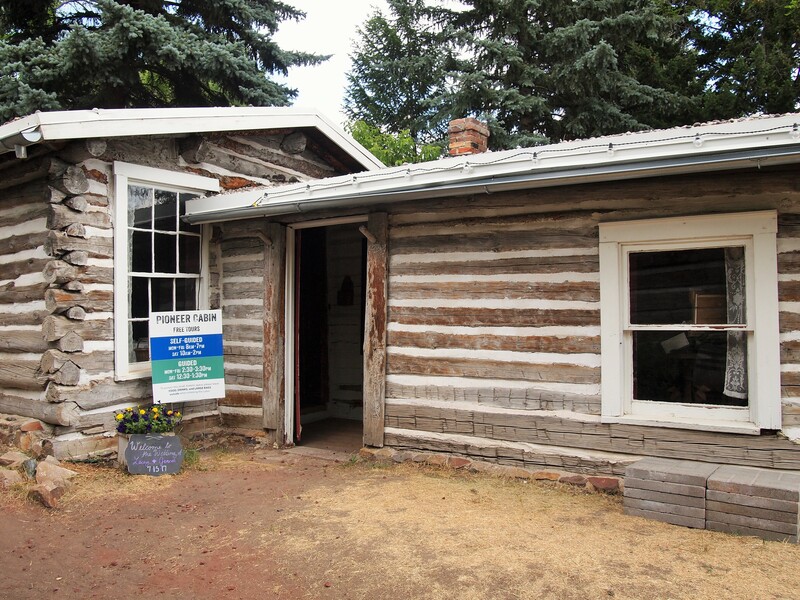 Next to Reeder’s Alley is the Pioneer Cabin, Helena’s oldest surviving structure from the gold rush. 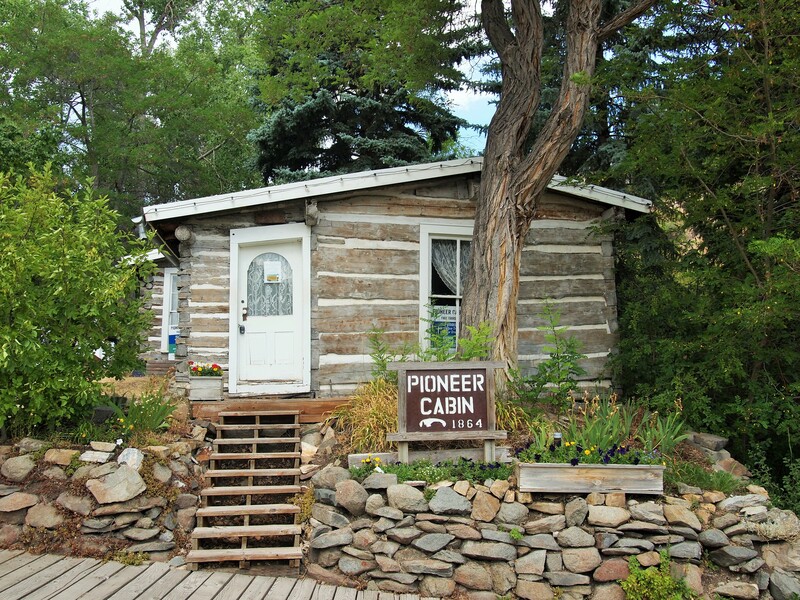 Built in 1864, in the heart of the mining camp, the cabin was home to three different owners before being purchased by The Last Chance Restoration Association in 1939. Visitors can view the cabin’s two rooms filled with period furniture and belongings from the original owners through plexiglass. Next to the Pioneer Cabin are two other remnants of the mining camp. 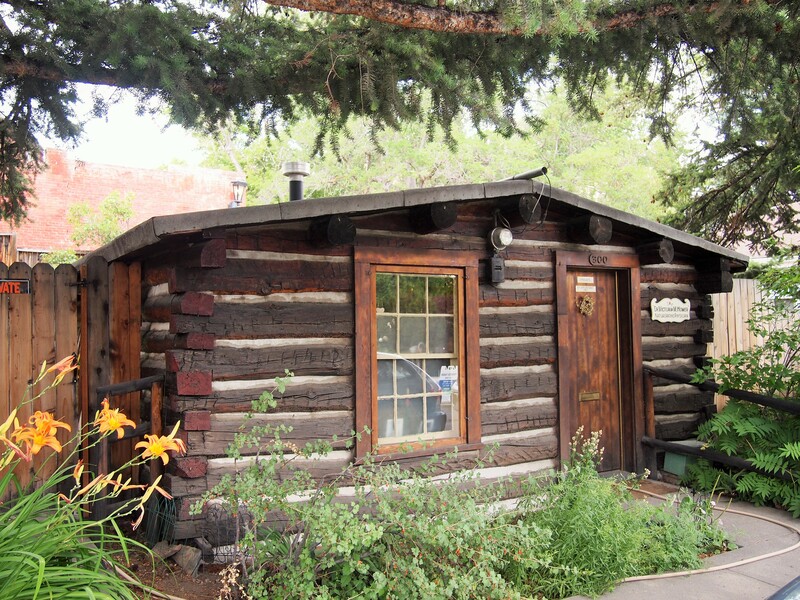 The caretaker’s cabin was once part of the red-light district in 1880s Helena, while the Yee Wau Cabin was home to the Yee Wau brothers, Chinese merchants and grocers. 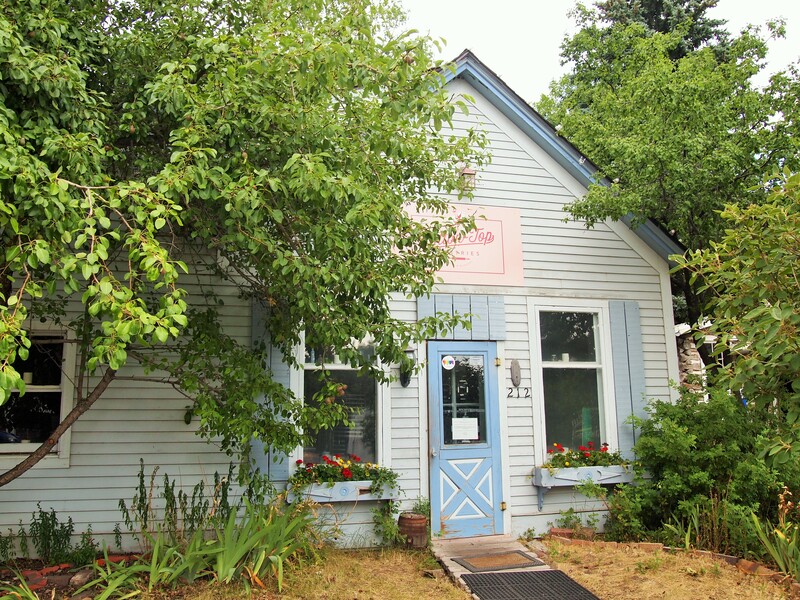 Though widely discriminated against, the Chinese community in Helena was significant. Unfortunately, the Yee Wau Cabin is all that remains of a Chinese community that once spanned five-blocks from Reeder’s Alley. Our last stop was the Old Fire Tower. A Helena icon, the twenty-five foot tower was constructed in 1876 (the octagonal cab was added in 1886) and last used in 1931. 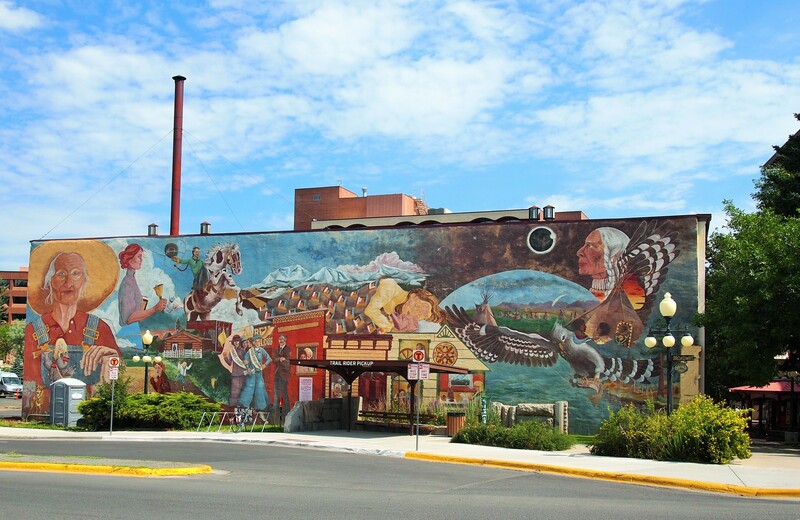 Also called the Guardian of the Gulch, it was erected to prevent the fires that plagued early Helena. 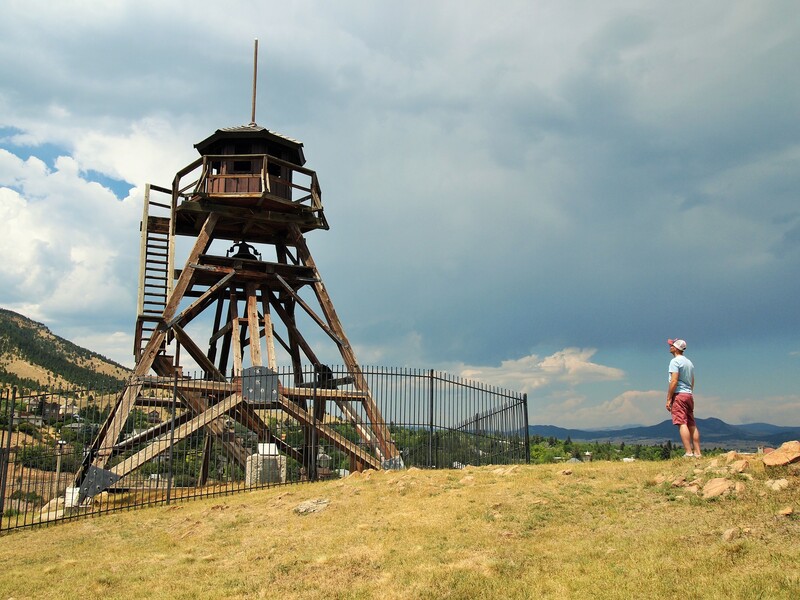 Today, the Old Fire Tower is the only fire tower that remains from the multitude that once dotted Helena’s landscape, and it is one of five of its kind left in the US. As I was reading about the tower’s history, I discovered that the Old Fire Tower will be demolished later this year as the structural integrity is no longer sound. 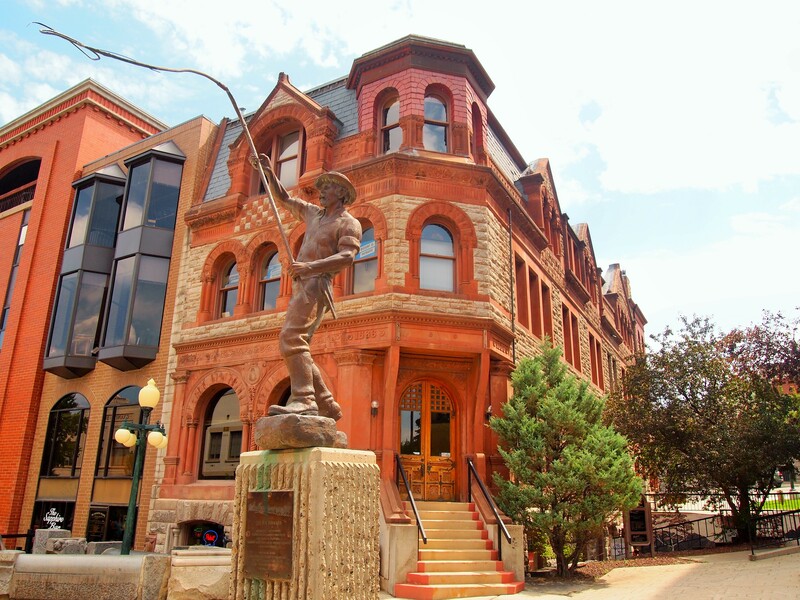 The city plans to rebuild the tower using period tools and materials in order to maintain the historical authenticity. I’m glad we were able to see the original one before it was too late!